I’ve always loved learning. Regardless, I’m currently de facto a college dropout((I’m on an indefinite break from my university, delaying a master’s degree until I can clearly see the ROI of spending another two years in school to get one. Still unsure if I’ll ever get there.)). How can this make any sense? 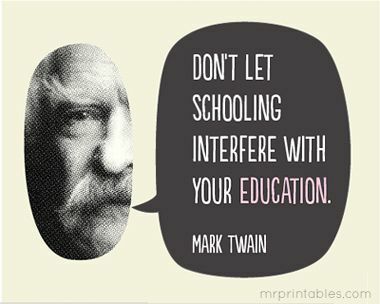 Before we get ahead of ourselves, let’s roll back in time to some unknown time and place in which Mark Twain utters a profound quote along the lines of “Never let schooling interfere with your education”. Back to now-time. I couldn’t agree more, Mark. My own experiences over the last few years have made it crystal clear that I learn exponentially more by doing than listening. As an example, I learned WAY MORE about business in the first 3 months of starting my first company, than in 3 YEARS business school. I am dedicating ALL OF 2017 to experimentation and exploration of new skills. I will be dipping my toes into 12 subjects I know little or nothing about, in pursuit of new experiences and expanded knowledge about various fascinating topics. My preliminary list of things I want to explore contains 35 skills already, ranging all the way from standup comedy to graphic design, sailing, hunting and mindfulness. Quite the variance, in other words. Instead of rigidly outlining each and every month right now, I will instead keep picking skills from my list as the year progresses. I’m sure I won’t like (or even enjoy) all of them, but I’m fine with such outcomes too. The point is to try stuff out, not to necessarily cultivate 12 new life long passions. Also known as meta-learning, acquiring new skills is a skill in and of itself. I see tremendous value in practising learning just for the sake of being able to learn more effectively next time. Also known as “getting out of my comfort zone”, “facing fears” and other commonplace clichés. Attempting something new inevitably requires looking like the dumbest dude in the room (rightfully so). Not a great feeling, but I hope I can practice being the most unskilled guy around, to the point where the awkward feeling diminishes. Let’s see about that. Oooh this is a vague one! But not really though, I just want to become a better version of myself as the Year of Learning goes by. A myself with new skills, experiences and stories to share as 2018 rolls around. That’s not too much to ask, is it? The rules of the project may certainly change as I go along, but here are my guiding principles for the first month at least. This may sound unambitious, which is exactly the point. I set myself up for success by making it fairly easy to win each and every day. Setting the bar low prevents overwhelm, and allows me to actually gain and keep momentum. Speccing out the next 12 months in granular detail is pointless, and frankly a waste of time. As a recovering planner of time way too far down the line, I’ve learned this through experience.Unexpected things always come up, and that will surely happen during my Year of Learning project as well, so I must be flexible and willing to change my approach as I go along. Therefore, none of the “rules” above are set in stone, but may be changed or kicked off the list altogether as the year progresses, as unexpected things happen in my life, as I move around the world, and as I learn more about the Year of Learning project itself. Jim Rohn sums it up wisely as usual; change your approach to change your results. This one’s for you, Reader, which may or may not be only myself in some distant future. Regardless of whether these words are also read by other fine folks like yourself or not, I have a guaranteed audience of one. One or more people will be spending their precious time reading my words. To avoid wasting that time, I’m responsible for providing heaps and bounds of value in exchange. Now that’s a responsibility I take very seriously. Thus I’ll do my very best to generously share my experiences and key takeaways from The Year of Learning, for future reference and for further reflection and learning beyond the year of 2017. Feel free to follow along this journey if you’re ever so slightly curious, or perhaps an aspiring learner yourself.